Over the past few weeks, we've been fortunate to share encouraging updates coming out of the islands. And now we're extremely pleased to share the latest promising news on some of our guests' most beloved ports that were impacted by recent hurricanes. 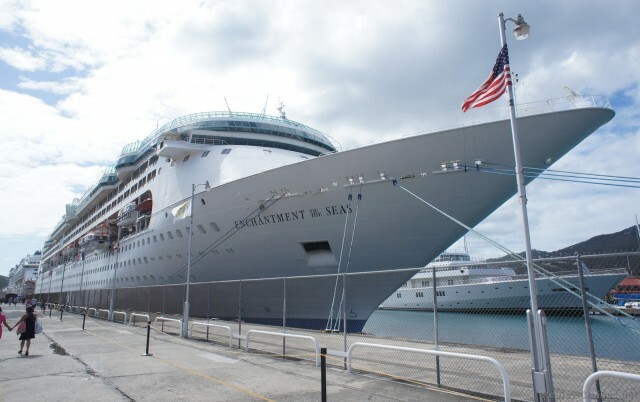 San Juan, Puerto Rico is on track to have power and transportation readily available before the end of November, and Freedom of the Seas has been cleared to make the fleet's first call on the island. As of November 30, 2017, the ship's guests will be free to explore the fortresses of El Morro and San Cristobal, tour the streets of Old San Juan, and enjoy Puerto Rico's famed hospitality - with all previously scheduled ships in the fleet to follow. On December 17, 2017, Philipsburg will welcome Royal Caribbean back to St. Maarten. With water and power restored to most of the island, the majority of shops, restaurants and bars, and tour operators around Philipsburg will be fully functioning, for guests to experience the area's diverse and extensive array of dining, shopping and activities. The sunshine and beautiful beach vistas are there as always, and the community and businesses are eagerly anticipating visitors. Grandeur of the Seas will be the first to call on the island, marking the reopening of the destination. The resilience, determination and tenacity of these Caribbean communities, and the strides they've made to bounce back in such a short time are nothing short of inspiring. Royal Caribbean is proud to call the Caribbean home, and we look forward to being back very soon. For more information on our newly updated Caribbean itineraries visit RoyalCaribbean.com.